Billy Walsh, current Head Coach of the Irish Amateur Boxing Association (IABA) High Performance Team, is an outstanding sportsman from Wexford. Billy Walsh developed a love of all sports at an early age and excelled at them all. During his own boxing career Billy Walsh won seven Irish Senior titles, represented Ireland at European and World Championships and achieved his lifelong ambition by competing in the Olympic Games in Seoul in 1988. 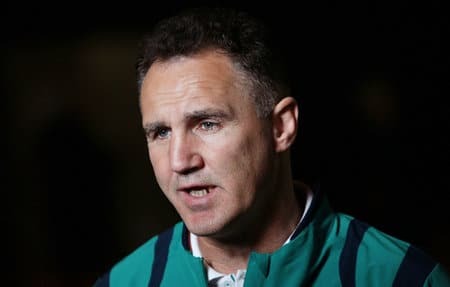 In recent times Billy Walsh has turned a labour of love into a career by becoming head coach for the High Performance Team for the last ten years. The successes to date at European, World and Olympic level are unprecedented in the history of Irish Sport and as a result he has become one of the most highly respected and sought after coaches in the world of Boxing. Due to the implementation of strategic planning and a constant mission to improve, Irish boxing has surpassed all other sports with an impressive medal haul from every major tournament in which they have participated. In the last two Olympic Games (2008 Beijing, 2012 London), the IABA has earned a total of seven medals and has accounted for all but one of Ireland’s Olympic podium appearances at those games. Furthermore, based on the top performances from Ireland’s boxers in those same games, the IABA has nearly doubled its previous medal count from nine medals to 16. With the help of an amazing back room team Billy Walsh has overseen the development and nurturing of many boxers including Katie Taylor, John Joe Nevin and Paddy Barnes, helping to turn them into world class performers. Billy Walsh is proving extremely popular as a keynote and motivational speaker with Front Row Speakers. His presentations are pure, inspirational and aimed at improving performance in from a business and sporting perspective. “Billy (Walsh) addressed our annual it@cork Leaders Awards. He had a tough slot – last on a busy night with judges, winners and a real danger of speaker fatigue. When he took the stage you could really hear a pin drop. The story he shared had all the elements of elite performance: honesty, humility, personal responsibility, working with what you have, never accepting second best. It was a lesson in the essence of leadership. We were honoured to have Billy.” John Wall, it@cork Vice Chairman.